Welcome to the Dies R Us Inspiration Blog. To make my card, I decided to use the Stitched Cloud Edgers as a tree line. (I hope they don't look like green clouds). 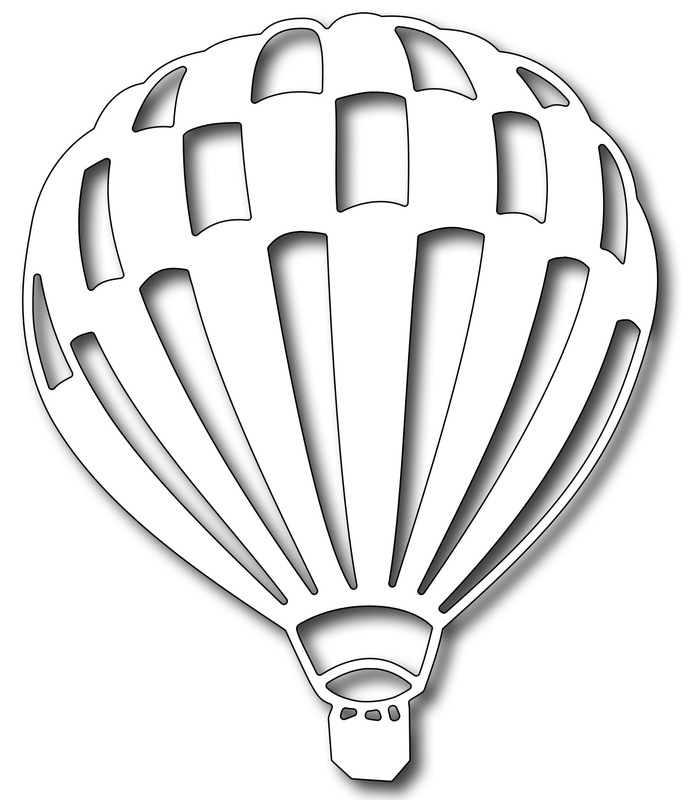 The balloon is the Frantic Stamper Hot Air Balloon and is a whopping 3.7 inches tall. I wanted a big balloon for my card, and this one worked out great. Love that Hot Air Balloon, your colors just POP! We've been to a festival before, it's quite FUN! Your 'clouds' as a tree line looks AWESOME! Well done! Another fabulous scene, Ann! The tree tops do remind me of the northern forests, especially in late Spring! Talk about a lot of fun, bold, VERY HAPPY colors! 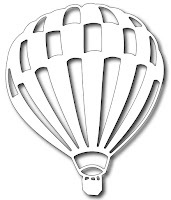 Your balloon is just that! Fantastic inlaying and the black pops out the other colors beautifully (pun intended). Love your "happiness" card of memories! What a fun creation Ann. Love the balloon and what a clever idea for the treeline! Thanks for awesome inspiration. I have never been to one of those events, I bet it is really neat. Love the colors you used and the different shades of the tree lines, great scene! Love the hot air balloon die, and the stitched clouds, fabulous card! I took my husband on a hot air balloon ride a few years ago for his birthday, it was a fantastic experience! I can imagine a balloon festival must be very interesting to see too! What a fun card Ann! We have a balloon festival every year in the next town over so we've seen lots of creative ideas for balloons too. What fun! A winter's day . . .